OneStream XF from OneStream is a financial performance management (FPM) platform offering planning, budgeting and forecasting, statutory consolidations and reporting. The company was founded in 2010 and has been self-funded, which means that until recently its marketing and brand recognition efforts have been limited. I reviewed the company’s statutory consolidation capabilities earlier this year. I recently attended OneStream’s annual user conference. Attending these conferences allows me to be a fly on the wall listening to conversations between customers and especially between customers and those in the final stages of evaluating the software. These conversations can be more candid and less varnished than reference calls arranged by the vendor or those in which the user knows he or she is having a conversation with an industry analyst. The conversations I overheard were uniformly positive in terms of functionality, ease of use, maintenance and doing business, and total cost of ownership. An important reason why customers find OneStream XF easy to work with is that it’s a platform rather than an assemblage of standalone modules with integration points. The platform supports a range of functional applications that share the same basic user interface, data and data architecture, workflows and security model. A set of applications that operate on a platform can offer a lower total cost of ownership because implementing and maintaining the software can be simpler. A platform of this type ensures that the data used for a variety of purposes is authoritative, consistent and controlled. It can offer greater ease of use compared to a set of disparate applications because it provides a uniform user interface and a common approach to workflows. By having each piece of the platform share the same security model, it permits a single sign-on. Moreover, a common security model is especially valuable for financial data because it can significantly reduce the administrative burden of maintaining access control at a granular level, which is necessary to restrict access to sensitive detailed data. For example, Jane Smith, the controller of Division A, is allowed to see all of her division’s financial data but is limited to only high-level data for Divisions B and C. And Leonard Leung, general manager of the Controls unit of Division C, is allowed to see detailed information only for his business unit, including the salary information of employees of that unit, as well as high-level company-wide data. When a platform maintains detailed permissions in one place, there’s no need to reenter the same information in multiple applications or modules and it’s less likely that there will be delays or omissions that enable unauthorized individuals to access sensitive data. In addition, embracing a platform approach can be useful to customers if independent software vendors (ISVs) develop complementary applications that operate on it. These applications extend the functionality and usefulness of the platform. The tax provision application I discuss below is an example of third-party software that’s being developed for the platform. A number of the presentations at the user conference by existing users highlighted advanced uses in planning and budgeting. For example, a large multinational glass, automotive and building products company uses it to do integrated operational and financial planning. Almost a decade ago I coined the term “integrated business planning” (IBP) to describe an approach that enables each business unit to plan its business from both an operational and a financial standpoint, rather than just creating a budget. 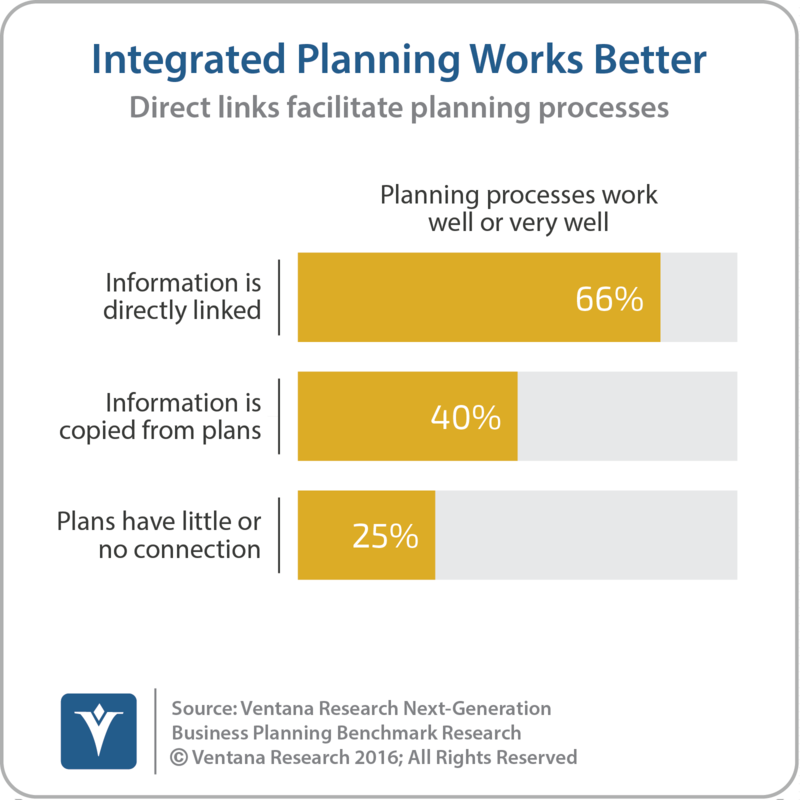 Our Next-Generation Business Planning benchmark research finds that two-thirds of companies that link planning data directly have a process that works well or very well compared to 40 percent that copy and paste information and just 25 percent that have little or no connection between planning data. Moreover, integrated business planning makes planning more useful to planning units. Budget owners usually think in terms of the “things” that they need to achieve their objectives, such as headcount, materials and equipment. IBP plans things and their monetary value in parallel. This allows budget owners to, for instance, plan headcount and have the system derive the cost of this headcount based on data from the HR department. With OneStream XF, this large multinational company can harmonize planning models across regions, rapidly consolidate plans worldwide and ensure that the financial plan is driven by the most up-to-date operational forecasts such as headcount and sales projections. This approach enables the company to quickly adapt and revise plans and better understand their financial consequences. Senior executives and managers can set a more productive direction because similar business units operating in different regions plan around a consistent set of operational and financial key performance indicators. These plans then can serve as the foundation of performance reviews that can quickly highlight variances in KPIs and identify their causes in detail if desired. In another illustration of advanced planning and budgeting, a capital-intensive multinational industrial services company showed how it uses OneStream XF to create a detailed, bottom-up rolling forecast that uses driver-based models to project expenses and balance sheet items. Every quarter the company forecasts out six quarters. The first four quarters have considerable revenue, cost and balance sheet detail, while the last two contain a detailed sales forecast with limited cost detail and no balance sheet projections. Because of the driver-based construction, it’s relatively easy for analysts to create global scenarios based on different assumptions about commodity, materials, labor and other common factor costs as well as different currency translation projections. The presenter noted that, after using it for three quarters, the company felt comfortable enough with its detail and accuracy that it decided to forego creating the annual budget and use the forecast model for financial planning. There was also a session highlighting the beta version of OneStream’s tax provision software, which is currently in advanced development. 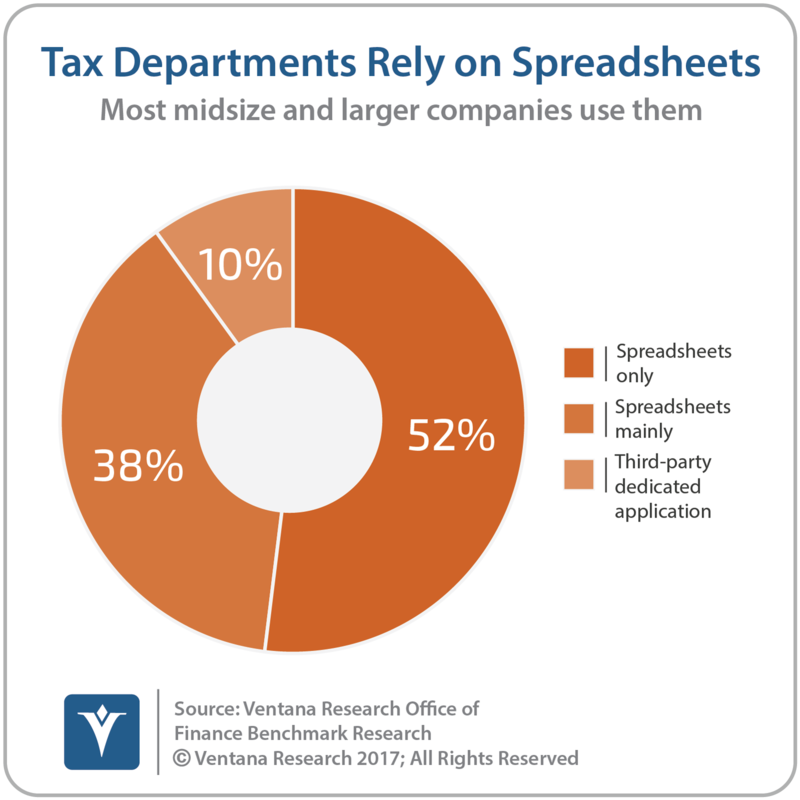 Our Office of Finance benchmark research finds that almost all (90%) companies use spreadsheets in their tax provision process, either entirely (52%) or mainly (38%). Bringing the provision process into a platform like OneStream’s ensures that the data is always consistent with what’s in a company’s financial management or ERP systems. Desktop spreadsheets are time-consuming when used for tax provision, which delays the close process. Also, there are usually quite a few last-minute changes in the financials. Working with a common data set and using a tax provision application that immediately reflects those changes can cut a considerable amount of time from the process. Many companies’ financial management or ERP systems, especially in North America, don’t capture the legal entity associated with a bookkeeping transaction. However, this information is essential for preparing a tax filing. OneStream XF can enrich the data brought into its platform to include legal entity status. Companies that switch from spreadsheets to tax provision software that’s built on a platform such as OneStream’s have the potential to accelerate their accounting close. The tax calculations and data will be more transparent, enabling companies to manage their tax exposures more intelligently and significantly reduce the risk of errors in the provision process. Usually, software for financial consolidation and reporting and software for planning, forecasting and budgeting are purchased separately because different groups within Finance (accounting and financial planning and analysis, respectively) are most involved in using them. One potential advantage of OneStream’s product is that both sets of capabilities are on the same platform so the cost of buying and implementing both can be significantly lower than purchasing separate applications. And the cost of implementing and updating it can be less than buying some financial performance management suites if the applications are built on separate code bases. The FPM software market is crowded. OneStream has been able to grow largely through word of mouth of highly satisfied customers and a weakening of loyalty to older established brands such as Oracle Hyperion. However, the next stage of growth will require above-average execution of the ramped-up sales and marketing efforts the company is making. OneStream XF’s main shortcoming is its user interface, which is old-school. The company does say it plans to invest in more efficient and eye-pleasing designs. This is a necessary step, especially as all users – not just millennials – increasingly demand a less tedious and more productive user experience. I recommend that any company looking to replace or even update its consolidation system consider OneStream as an alternative. Companies such as this should include the capabilities of the system (including its availability in the cloud) and total cost of ownership as factors in their assessment. Organizations that are looking for an alternative to their existing planning software or that want to move away from desktop spreadsheets should include OneStream on their long list, especially if they are contemplating replacing their consolidation system within the next five years. Rob heads up the CFO and business research focusing on the intersection of information technology with the finance organization and business. The financial performance management (FPM) research agenda includes the application of IT to financial process optimization and collaborative systems; control systems and analytics; and advanced budgeting and planning. Prior to joining Ventana Research he was an equity research analyst at several firms including First Albany Corporation, Morgan Stanley, and Drexel Burnham, and a consultant with McKinsey and Company. 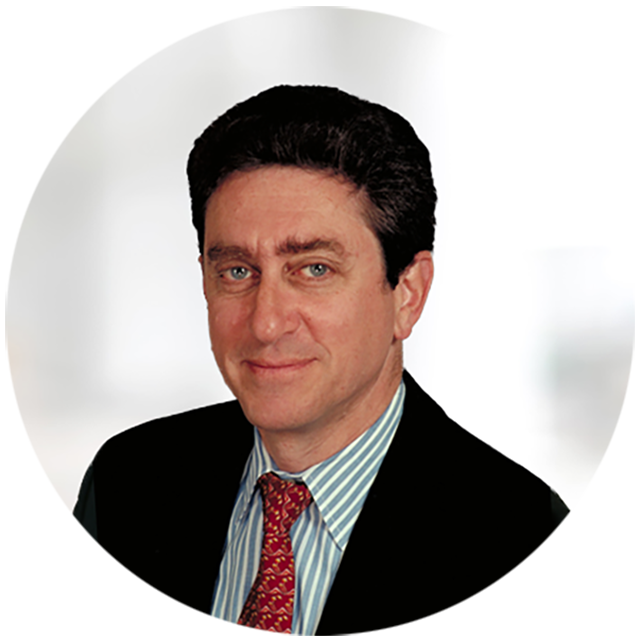 Rob was an Institutional Investor All-American Team member and on the Wall Street Journal All-Star list. Rob has experience in aerospace and defense, banking, manufacturing and retail and consumer services. Rob earned his BA in Economics/Finance at Hampshire College, an MBA in Finance/Accounting at Columbia University, and is a CFA charter holder.